The Bullet Magnets are designed to be fit along the stainless pipeline. When the dry free-flowing products flow through the pipe, the contaminations are extracted onto the Bullet magnets. 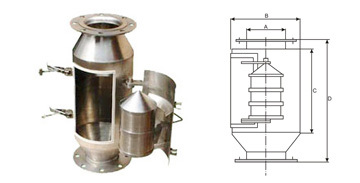 The units effectively remove iron contamination from the raw material in powder or granular, flour, chemical, plastic, food stuff, pharmaceutical and mineral materials.